Looking to add a little extra something to your wedding reception? A photo booth is the answer! We love goofing off with our best pals wearing silly hats in front of a camera! 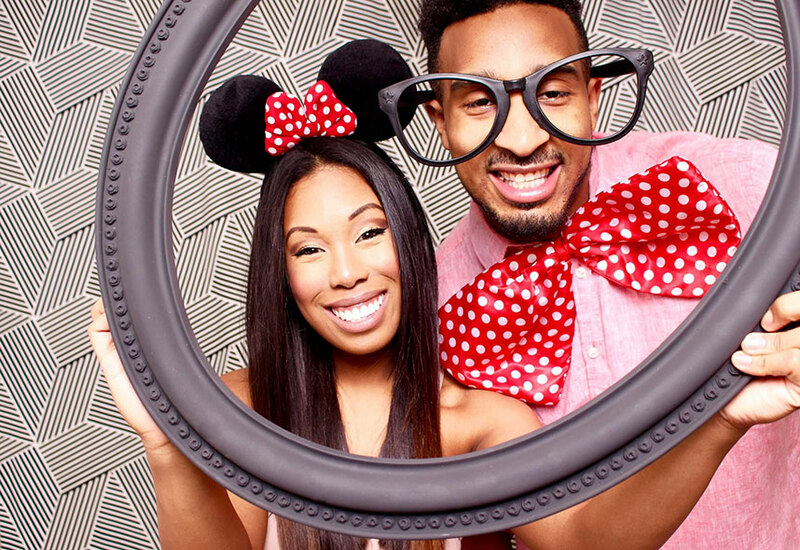 Whether you get printed photo strips or can share your snaps instantly through social media, a photo booth is a great addition to any party you want to remember. We’ve rounded up some of our favorite booths available for booking across the state, each a little different in their own way. Grab a prop and say cheese! 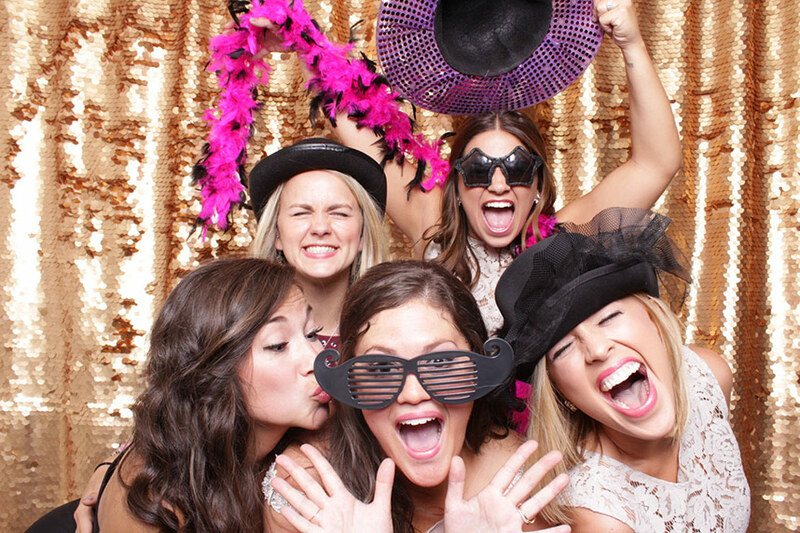 Pikcher Booth is an open air photo booth that is perfect for large group settings, there is no limit to the fun! They offer amazing props and backdrops with the option to customize to suit your event, onsite printing and even animated gifs that are sure to please! 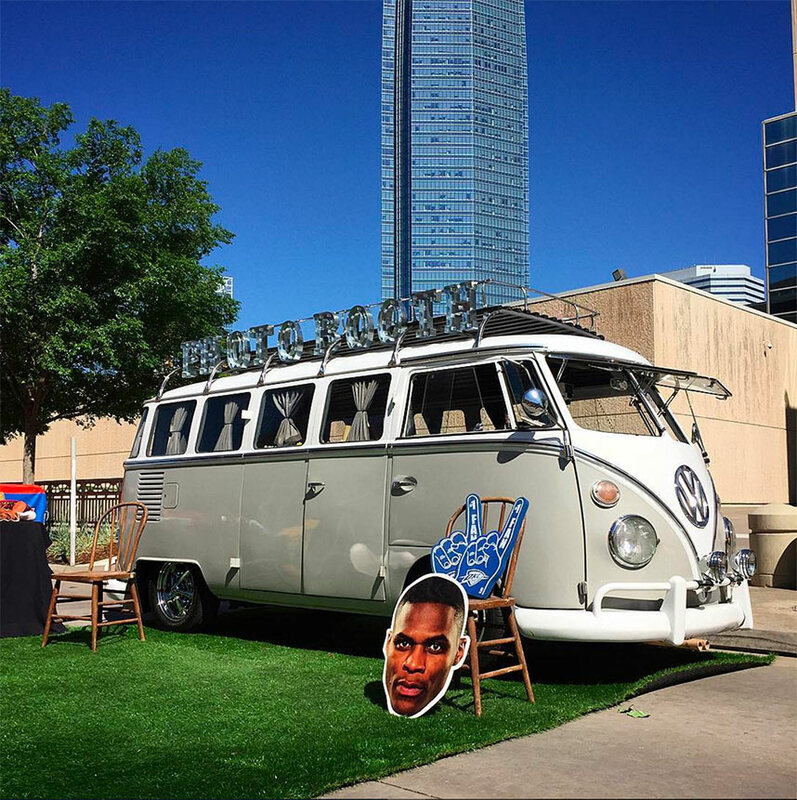 Take an old Volkswagon bus from the 60s and turn it into an amazing photo booth? That’s exactly what Wolfsburg Photo Bus did! This super retro bus can pull up to any outdoor event and get the party started. “Suzie Q” is fully mobile and comes complete with customizable color schemes and props. The bus can comfortably fit four to five people at a time or they also offer a large format camera that sits outside and takes get the shot with Suzie in the background! Zach is no stranger to the photo booth craze. Offering several different types of booths ranging from the open air, enclosed, green screen (allowing for digitally imposed backgrounds) and slow-motion, brides truly have options when it comes to using Zach Downing Entertainment! Earlier this year, we partnered with ZDE on our 10th-anniversary event and had an absolute BLAST in his slo-mo booth! Grab some confetti, you’re going to need it. With the prettiest backdrops in all the land, we’re crushing on Bojangle Booth! This open air booth provides pristine photos and high-quality printouts for your guests to enjoy and with their handy Live View option, you can see what your photo will look like before the picture is taken! An onscreen countdown makes sure you are ready to go! As major suckers for sequins, we’re partial to their glittering backdrops, but you can certainly customize with Bojangle Booth as well.